So-called multiculturalists have been recently targeted by journalists and scholars arguing that such apologists are the cause of contemporary cultural fragmentation, racism, neo-segregation, lowered standards, and a radicalism that ignores the wishes of mainstream America. This book is an introduction to some of the ideas underlying the claims multiculturalists make for diversity, inclusion, and complexity, and is one of the first rejoinders minorities have presented to combat the onslaught. Spanning the philosophical spectrum from difference to competent intercultural communication, each essay represents the precipitate produced from the writer's engagement with students, scholars, the public-at-large, and marginalized peoples. The reader will not find in these pages a call for chaos, civil war, or racism. None of what is here espoused can responsibly be characterized as unpatriotic or misanthropic. Radical? Yes. Subversive? Yes. But also expansive, sympathetic, challenging, and galvanizing. This book is not for the faint of heart. 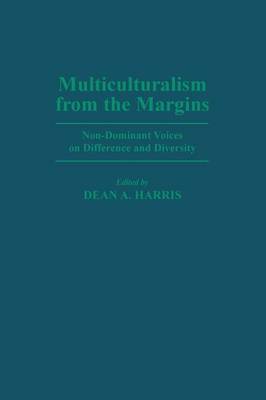 Readers looking for a demanding analysis that will provide guidance on adjudicating the claims of multiculturalists and monoculturalists will find it in this book.